A wonderful touch to any beach or coastal event! These miniature adirondack chair tealight holders also serve as place card or photo holders and provide a decorative touch as well as romantic lighting to your reception. 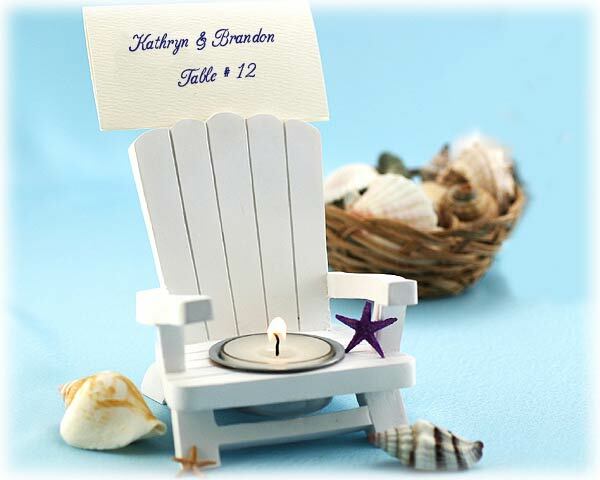 These high quality white Adirondack chairs include a standard 1.5" tealight and each high quality chair measures 2.5" x 3" with a slit at the top of the chair to insert a card or photo. Sold as a Set of 4.